What happened in the hospital on the day my mother died was very revealing about the U.S. health care system. It was 9 a.m. and Mom, age 79, was agonal with irregular breaths, signaling that she was not long for this world. She had been admitted over the weekend after falling at her long-term care facility. The fall also injured her left knee. A nurse came into Mom’s room that morning and announced that she was going to prepare Mom for a knee arthroscopy. An orthopedic surgeon had seen her as a consult over the weekend and decided she needed the procedure. My brother, who was at Mom’s bedside at the time, informed the nurse in no uncertain terms (the words cannot be repeated in this editorial!) that there was no way Mom was undergoing an invasive procedure while basically on her death bed. The arthroscopy did not take place. Later that day, around 3 p.m. and after I had arrived, the nurse came in to draw blood from Mom. Both my brother and I dismissed the nurse—somewhat rudely—with an admonition not to do anything else for Mom except to keep her comfortable. Mom passed away very peacefully later that night. My mother’s story is just a microcosm of how most Americans experience health care. Perhaps if I hadn’t been a doctor I would have simply stood by—as no doubt most others must do with their loved ones—and watched as Mom was subjected to pointless procedures and treatments. While under-treatment is all over the news with regard to the Veterans Affairs health care scandal, U.S. medicine as a whole is rife with too much care. This fact is the focus of Shannon Brownlee’s excellent 2007 book, Overtreated: Why Too Much Medicine is Making Us Sicker and Poorer. In her book, which was chosen by the New York Times as the “Economics Book of the Year,” Brownlee argues that we can spend a lot less on health care without making people any less healthy. Indeed, in a blog post1 co-written with Joe Colucci, Brownlee criticized the fictional character Gregory House in the popular show “House, MD” for reckless, “non-evidence-based treatment decisions.” Dr. House’s throw-the-spaghetti-against-the-wall practices are “just bad medicine,” Brownlee and Colucci wrote. Another painful reality, moreover, is that many in our subspecialty of radiology are also guilty of practicing non-evidence-based medicine. It’s not necessarily spaghetti-against-the-wall medicine, but it’s imprecise, and it often results in too much radiology care. As the infographic2 from Radiosphere shows, 8 percent of patients who receive high-tech imaging in the emergency department may get sent home before the results come back. This shows just how unnecessary those studies really are. Not long ago, radiology was still very small and informally organized, comprising small groups that often consisted of just a handful of radiologists affiliated with a local hospital or outpatient facility. However, in recent years, small radiology groups have begun to consolidate; the Internet has facilitated affiliations across boundaries of geography and time, and many radiology groups have become quite large. Nevertheless, I would argue that our subspecialty still remains informally organized. By far, most imaging practices still don’t measure performance against benchmarks or strive to perform according to standards. These deficits can lead to wasteful and even dangerous misdiagnoses and overutilization. 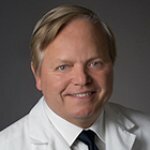 A recent McKinsey Global Institute study found that up to $26.5 billion per year is wasted on unnecessary CT and MRI scans.3 The result is that our patients are exposed to needless radiation, given excessive tests and subjected to gratuitous invasive procedures that might have been spared with more judicious use of imaging. And in fact, it is now thought that many of these individuals (most of them children) will die from cancer 20 to 30 years later as a result of undue radiation exposure. It is time for radiology to move into the 21st century and mature. We can’t afford to wait for value-based care models to take hold in order to change things—we need to take a hard look at our practices and start leading now. Indeed, working with healthcare systems, radiologists can become more integrated into clinical care pathways and help ordering clinicians decide which imaging tests are warranted in specific circumstances. For example, before ordering an MRI for a patient’s lower back pain, physicians should first prescribe medication and physical therapy. As a member of the care team, a radiologist’s job should include informing the ordering clinician that a scan may not be warranted if the patient has not first received the more conservative treatments. I totally agree. It’s time for us radiologists to innovate and offer the best experience to our customers, who consist of both our referring clinicians and our patients. Let’s get behind the rallying cry: “Enough of too much.” If radiology becomes more clinically integrated and standards based, patients will be treated not as a source of billable events, but rather as people truly in need of care. That should result not just in a dramatic decrease in unnecessary tests, but also in measurable improvement in population health. Guest Editorial: Enough of too much. Appl Radiol.